Spicy, sour, nutty, and savory - how could these not sound good? How about together? We had picked up a bag of chili lemon almonds from a farmers' market to snack on but they got me thinking about what we could incorporate them into. You're likely to see these tasty nuts sold in several places - they are the tangy, chili-coated ones that make your mouth water when you think about them (my mouth is going right now!). With a little bit of crushing, they became perfect to cook with and paired off with shrimp, they shone. 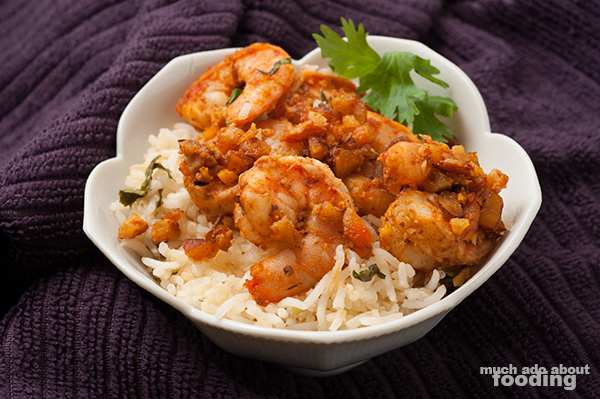 To complement the spiciness that was added to the shrimp, I put together a lime-cilantro rice. Try out this recipe! Prepare rice and start in the rice cooker. Devein and remove the shells from the shrimp. 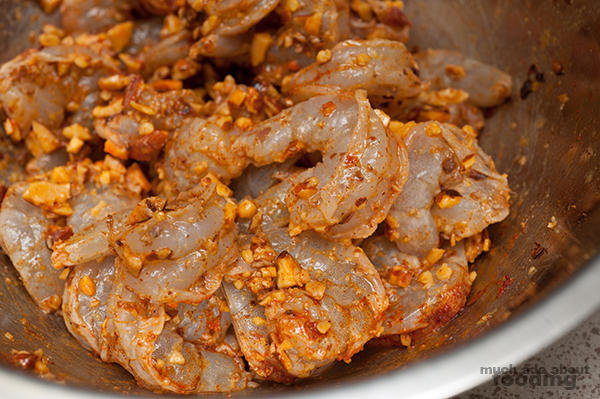 Crush almonds and mix with the shrimp along with crushed red chili peppers, paprika, and olive oil. Let marinate as rice cooks. Chop up cilantro and mix with lime juice in a separate bowl. Cook shrimp in a large pan on medium high for 3-5 minutes until pink all over but still tender. Pour into a large bowl and do not scrape off excess seasoning. Put pan back on the stove on medium heat and add pat of butter. Add cooked rice to melted butter and stir until coated. Mix in cilantro and lime and remove from heat. 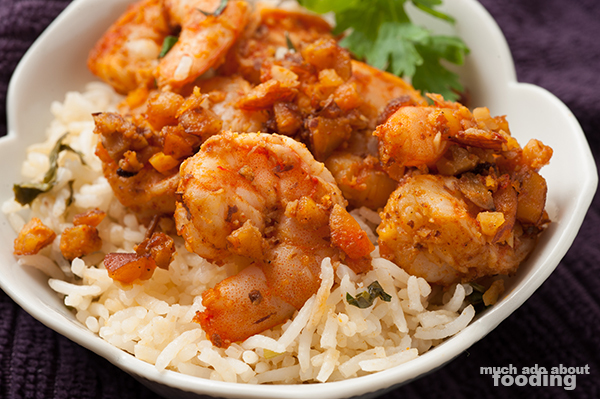 Serve with shrimp!